When Promesa was signed into federal law in mid-2016, it was touted as a groundbreaking, bipartisan piece of legislation designed to take Puerto Rico out of its decade-long fiscal crisis. However, close to three years after Promesa established a Fiscal Oversight and Management Board (FOMB) to help restructure the island’s $70-billion debt load, both mechanisms have been called into question, in part because they lack enough teeth to exert authority over state officials in the U.S. territory’s fiscal bottom line. 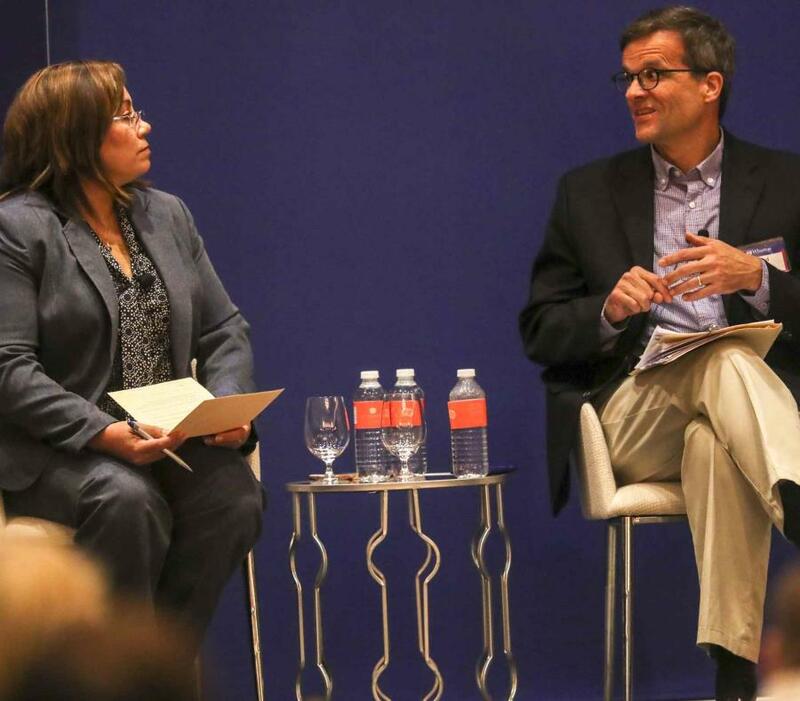 David Skeel, a professor at the University of Pennsylvania Law School and one of the members of the FOMB, said at a panel held earlier today that the situation began to take a turn for the worse when hurricane Maria hit Puerto Rico on October 2017. “We had put together a fiscal plan with the governor, and (local officials) made really hard decisions that we were really proud of… and then hurricane Maria hit,” said Skeel to the people in attendance at the Condado Vanderbilt Hotel, as part of a conference that the Wharton School of the University of Pennsylvania held Friday and Saturday in San Juan. When González asked Skeel if the FOMB has been lenient with the local government, Skeel highlighted the judicial setbacks that the board has gone through every time it has attempted certain measures, such as appointing a compliance official at the island’s embattled electric utility. The Promesa law itself was the subject of scrutiny during the panel, but it found a defender of sorts in Stephen Spencer, managing director at investment banking firm Houlihan Lokey. Villamil also cast doubts on the long-term economic benefits that the influx of federal funds -reported to be at least $16 billion- would have on the island, especially since the disbursement of said funds has slowed down significantly. Rafael Rojo, a spokesperson for a group that represents mostly local bondholders, then took Skeel to task for recent FOMB actions that, according to Rojo, have favored offshore bondholders over local ones when it comes to repayment claims. Lastly, when Gonzalez asked Skeel whether he would become part of a new version of the FOMB -a task that U.S. president Donald Trump has said he would take an active role in appointing- Skeel said he was up for it, although he would find the confirmation process “scary” under the current political climate.